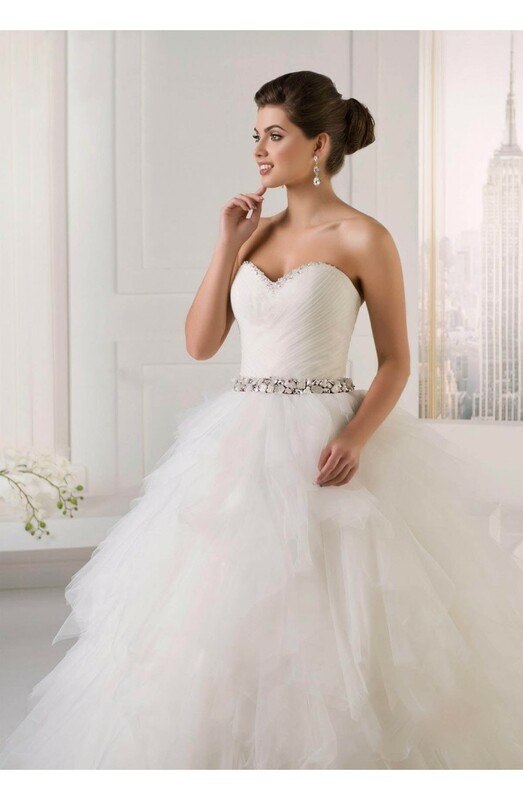 Corset ball gown with lacing on the back. Tulle skirt. Train 15In. Main material: tulle and satin.